This very vast ancient property counts 750m2 of livable surface, 350m2 of gardens and a swimming pool (10m x 4m). It is located in Lalla Takerkoust, 30 minutes from Marrakesh, and 5 minutes from the lake. Rates : From 60 Euros/night for a bedroom, 95 Euros/night for the suite, and 1200 Euros/week for the entire house. Breakfast included. Riad Zin is an unique property composed of 2 authentic ryads, restored and turned into one guest house of 1000m2 for only 10 bedrooms. The riad offers a prime location, in the heart of the Marrakesh Medina, on the main street of district Mouassine, only a 3-minute walk from the Markets (souks) and the famous Jemaa El Fna square. Charming tradional riad, located only 15min on foot from Jemaa El Fna square. 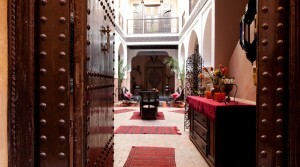 Rates: 125€/night for this 3 bedroom riad for 6 people, with breakfast included and house staff at your service. 3 bedrooms with own bathroom, pool, terrace and dining room are available. 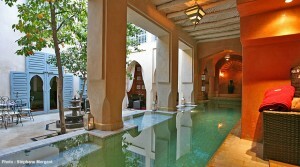 This charming riad restored with delicate taste is located in one of oldest areas of the Medina of Marrakesh. At only a 15minute-walk from Jemaa el Fna square. Easily accessible on foot or by car. 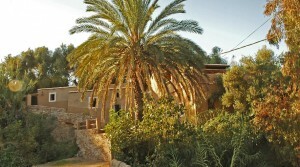 Our Berber country house is an oasis of peace and quiet on the outskirts of Marrakesh. Located in the traditional village of Lalla Takerkoust, on a plot of 4000m², it has 6 bedrooms for a capacity of 12 people and a large swimming pool (10m x 4m). Rate for the whole villa: 220 Euros / night. Breakfast included. 6 bedrooms, 3 bathrooms, swimming-pool, lounge and terraces are available. 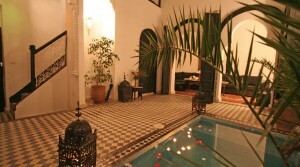 Authentic riad located in the area of the Medersa Ben Youssef, a few minutes’ walk from Jemaa El Fna Square. Rates: From 71Euros/room/night and the entire riad from 475Euros/night for 17 people. 5 bedrooms, 1 suite for 4 people, heated pool, large hammam, massage room are available. Charming Riad located 15 minutes walk from the famous Jemaa El Fna Square in the prestigious district of Bab Doukkala, near the Royal Palace Dar El Bacha close to shops, restaurant and souks. 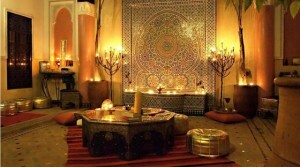 Rates: from 55Euros/night/room and Riad Kenza exclusively from 350Euros/night, depending on season. 6 air-conditioned rooms with own bathroon, pool on the terrace, panoramic terrace, Wifi, TV are available. 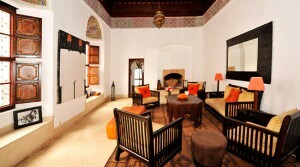 Charming riad with 6 suites located in the heart of the Medina, near the Bahia Palace. Jemaa El Fna Square is a 10-minute walk from the riad. 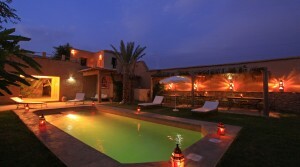 Luxury riad located in the medina of Marrakech, just 15 minutes walk from Jemaa El Fna. It has 7 rooms and suites, steam room, massage room, swimming pool, Jacuzzi, a double terrace, Wifi are available. Riad Maloha is located in the heart of the Medina, in the Kennaria area, 2 steps from Jemaa el Fna Square. Splendid Riad located in area of Mouassine, at 10 minutes by foot from Jemaa El Fna place. 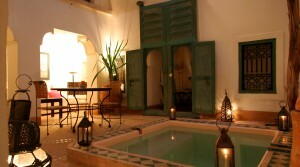 This riad was built in the 18 century and its decoration is sophisticated with some oriental touch. 7 bedrooms, a terrace with a beautiful view on the medina of Marrakech, Internet, TV are available. Charming 6 bedroom and suite riad from 18th century ideally located 2 min walk from the Bahia Palace and 5 minutes walk from Jemaa El Fna Square. Rates: From 80 to 110 Euros/bedroom/night and from 110 to 150 Euros/suite/night, depending on the season. The whole riad for 13 people from 630 Euros/night. Breakfast included. 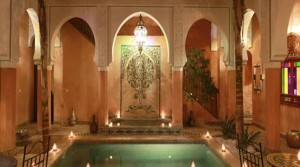 6 bedrooms, a small swimming pool, hammam, free WIFI and staff at your disposal. It is also easily accessible by car.